You probably have cameras you want to upgrade, but it’s too complicated and expensive. Today’s technology has changed and now there’s a better way to upgrade. 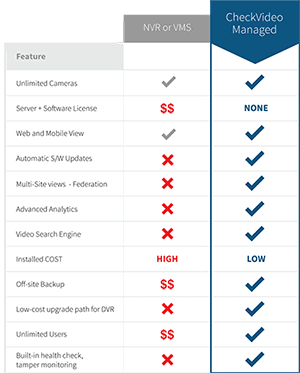 CheckVideo combines all your different cameras and recorders into a single view. Just like Youtube™, all you need is a mobile device and web browser.